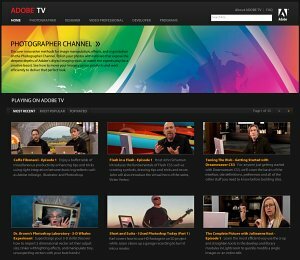 Adobe’s online television channel went on the air Wednesday this week. Lot’s of stuff there including a Photographer channel. Uh, you have to kind of squint and use your imagination a bit if you don’t want to be reminded that it’s an infomercial. The next Worldwide Pinhole Photography day is coming up April 27. Pinhole what? You don’t need to go all crazy and buy film or anything. You can turn your digital temporarily into a pinhole camera. Or make one of these out of paper. Here’s an interesting bit. The Calgary Herald wrote recently about a company that people are hiring to stalk them. Why? So they can get “completely natural” candid portraits. Looking to jump on the DSLR bandwagon? It’s amazing when you think that we’ve gone from measly 2 megapixel monstronsities to sleek, 12 megapixel DSLRs in the span of just 5 or 6 years. Take a look at Photocritic’s roundup of 15 entry-level DSLRs and join the fun.